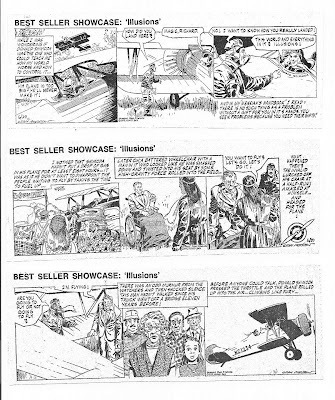 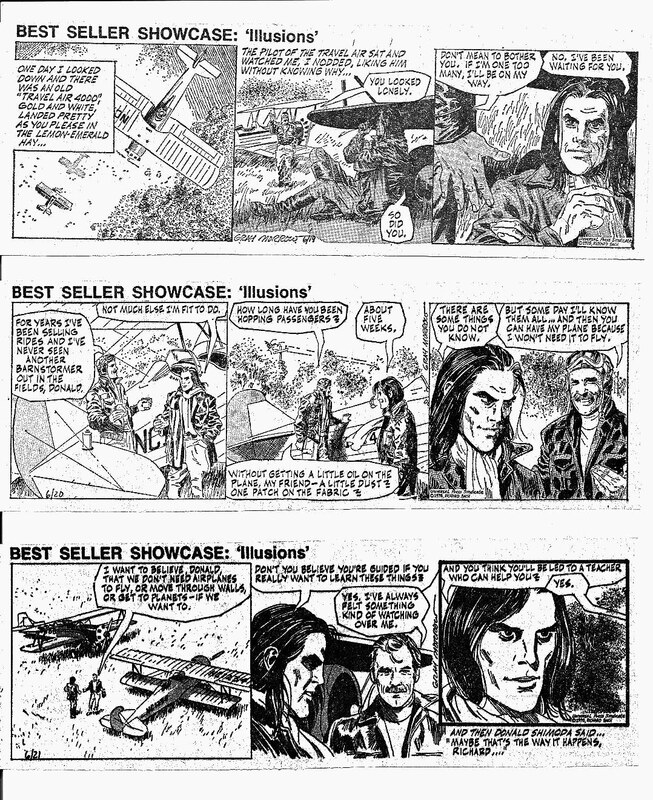 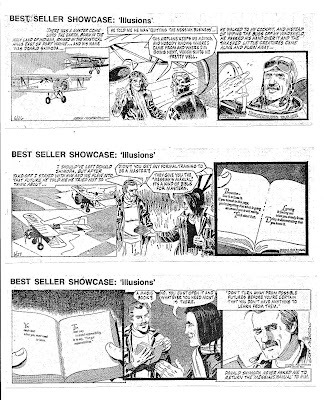 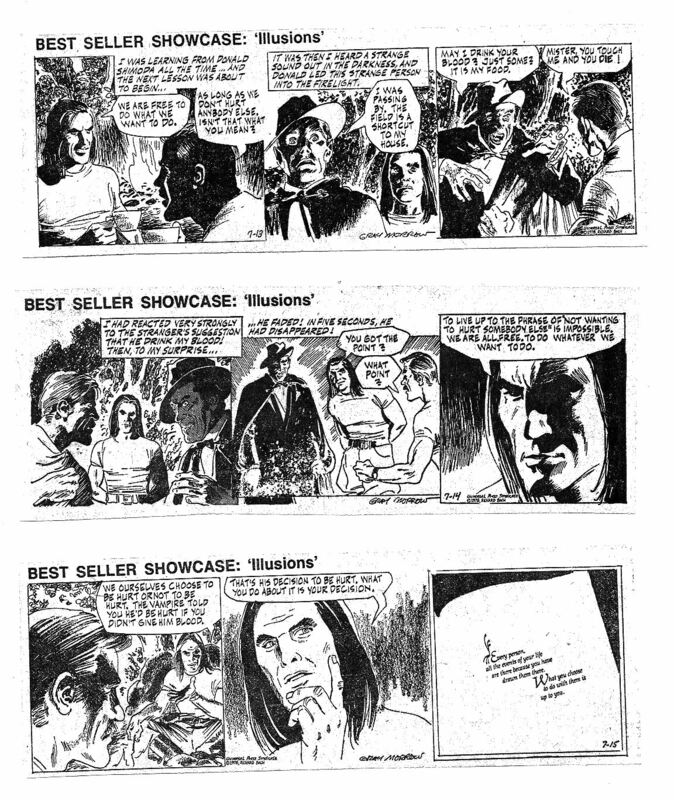 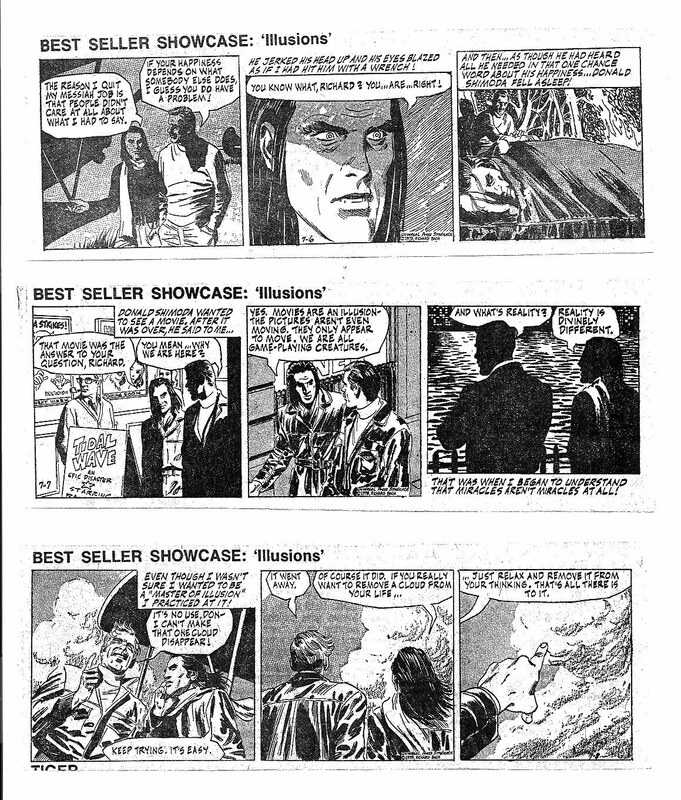 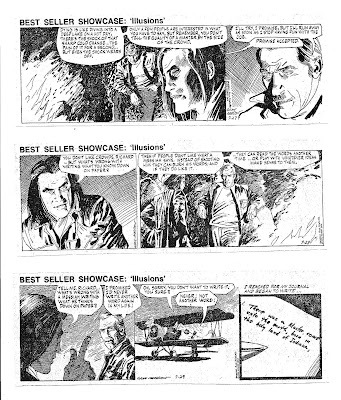 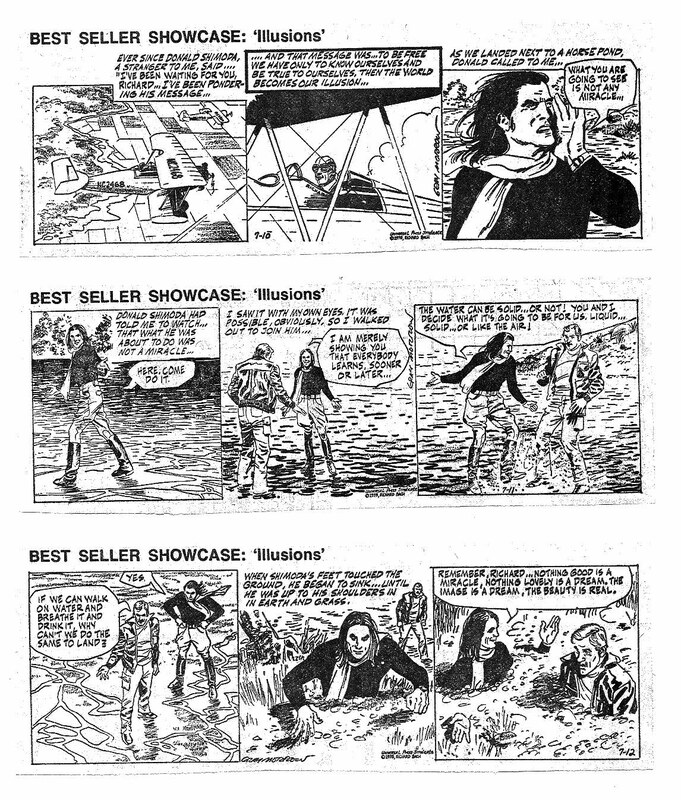 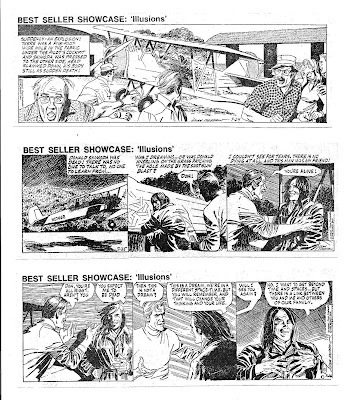 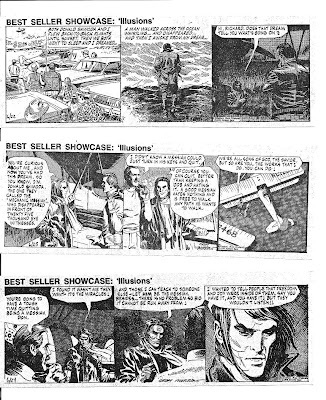 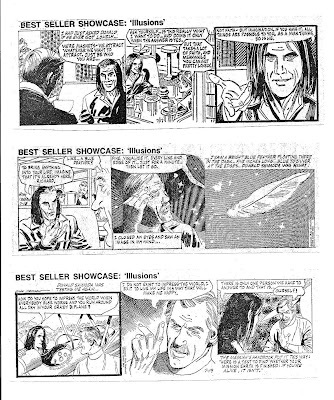 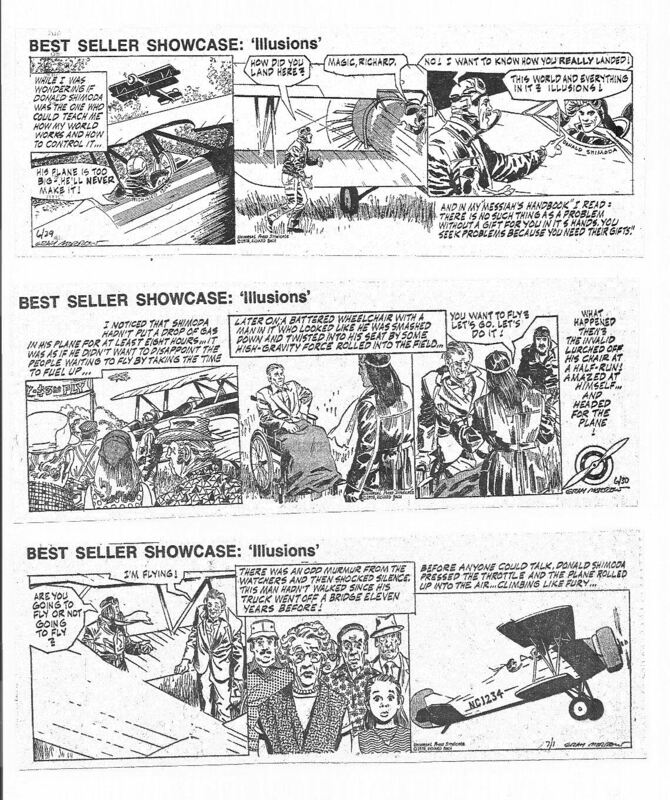 Originally posted on my late, lamented SHADES OF GRAY blog, here is the ultra-rare ILLUSIONS newspaper strip done by Gray in the late seventies under the short-lived BEST SELLER SHOWCASE banner. 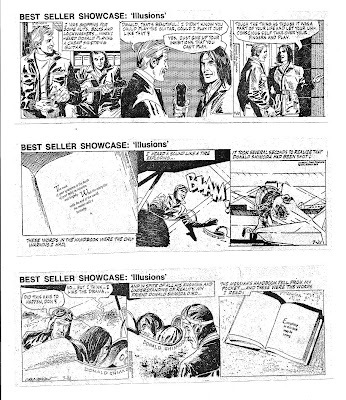 Reading it now, it may come across like so much metaphysical and pseudo-philosophical mumbo-jumbo but at the time the book, by Richard Bach, author of JONATHAN LIVINGSTON SEAGULL, was a huge number one bestseller! 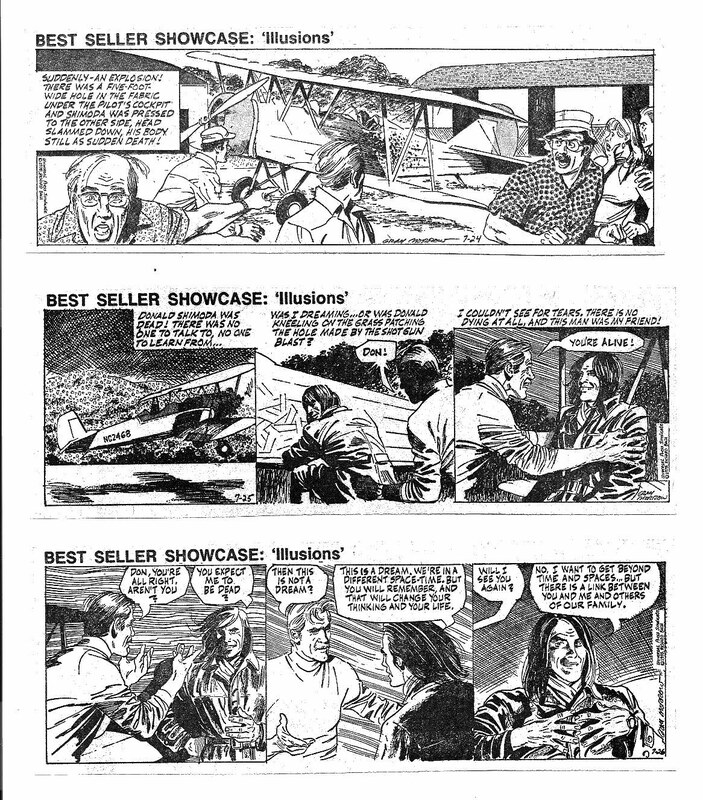 Still, an odd choice for a comic strip adaptation and I can't really say it was done well. 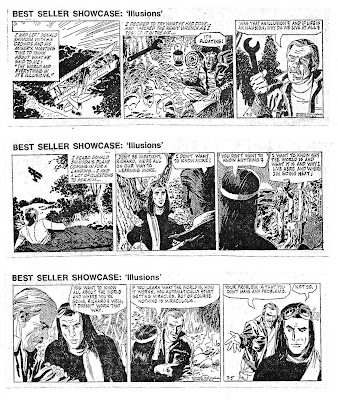 Morrow's art here fluctuates from quite good to barely there but the flimsy story probably lost quite a bit of readers for the strip. 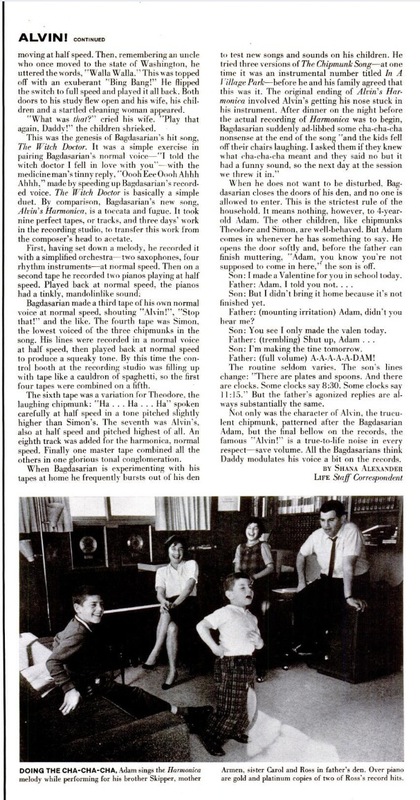 Here's Shana Alexander's 1959 LIFE article about the man behind the Chipmunks. 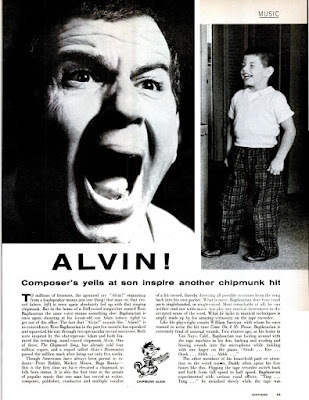 THE CHIPMUNK SONG was the # 1 record on the radio the day I was born that year. Bagdasarian would have been 97 years old on today's date this year. 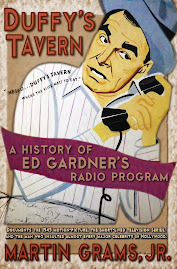 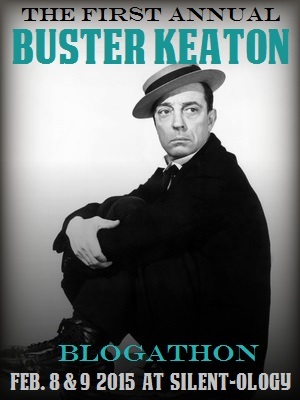 Nine years ago, I shared the sample chapter I wrote on Ross--aka David Seville--for my unpublished book on cartoon voice actors 18 years before that! 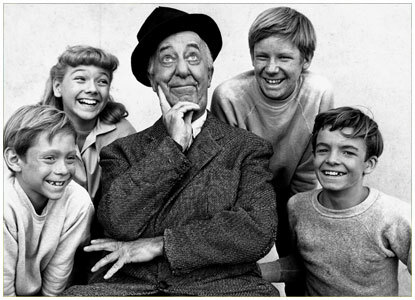 A few years ago, my Facebook friends Michael McGreevey and Bill Mumy were both posting and reminiscing about a couple of Walt Disney TV "episodes" they were in back in 1964 called FOR THE LOVE OF WILLADEAN. 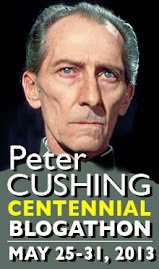 Former actor Roger Mobley also starred and was involved in the discussion. 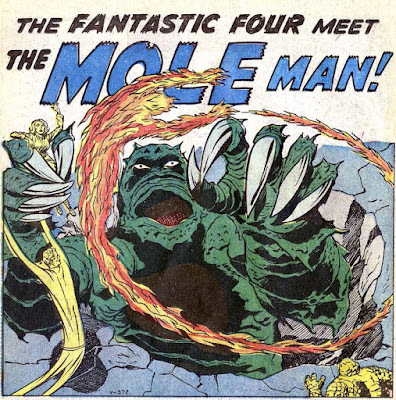 All of the guys were wondering whatever happened to Terry Burnham who played the title character that McGreevey and Mobley competed over. 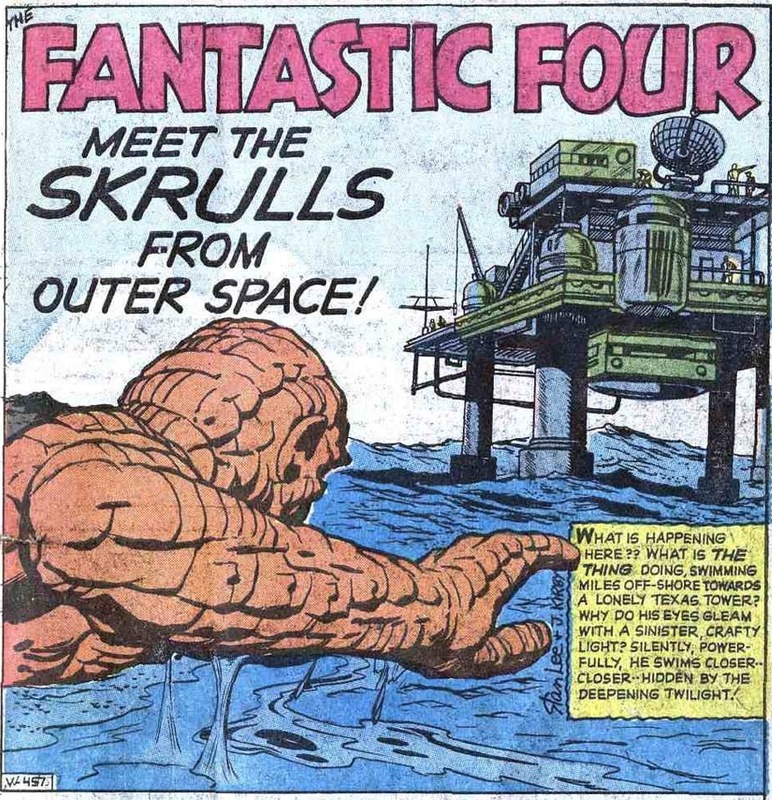 The second appearance of the FF reads like yet another monster of the month Atlas story with, in this case, the Thing himself being the monster (seemingly) as seen in the splash above. 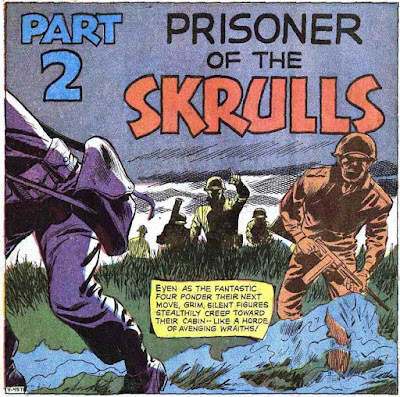 The next splash gets a "Part 2" and honestly doesn't even look like Kirby art to me. 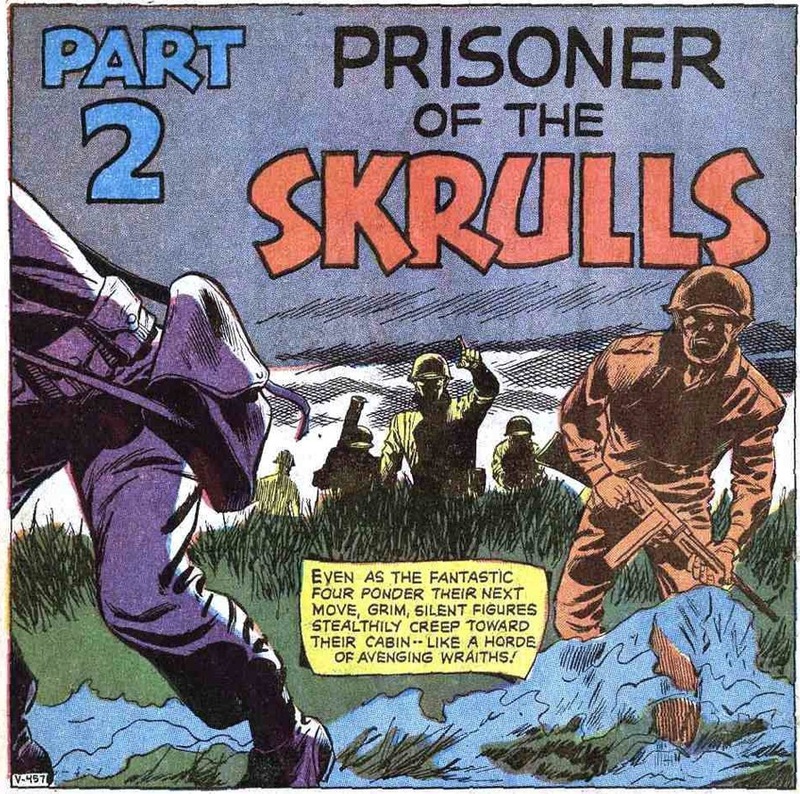 Two more chapters but neither get labeled as "Part 3" or "Part 4" for some reason. Unconventional coloring (by Stan Goldberg, presumably) adds immeasurably to this and most early Marvels. 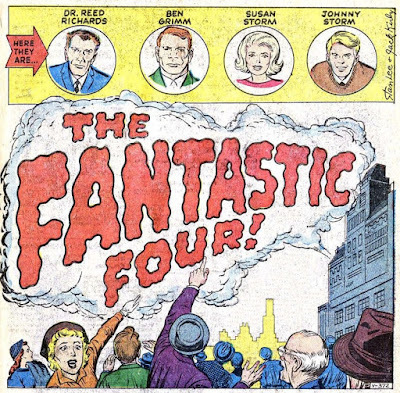 Marvel has announced their plans to completely eliminate any FANTASTIC FOUR titles from their lineup for the foreseeable future. 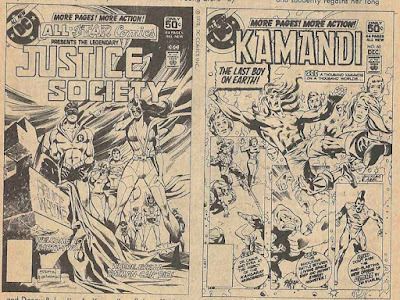 While I don't believe for a second that this ban will last, I do think it's a good time to go back and take a look at the splash pages and splash panels of the original series. 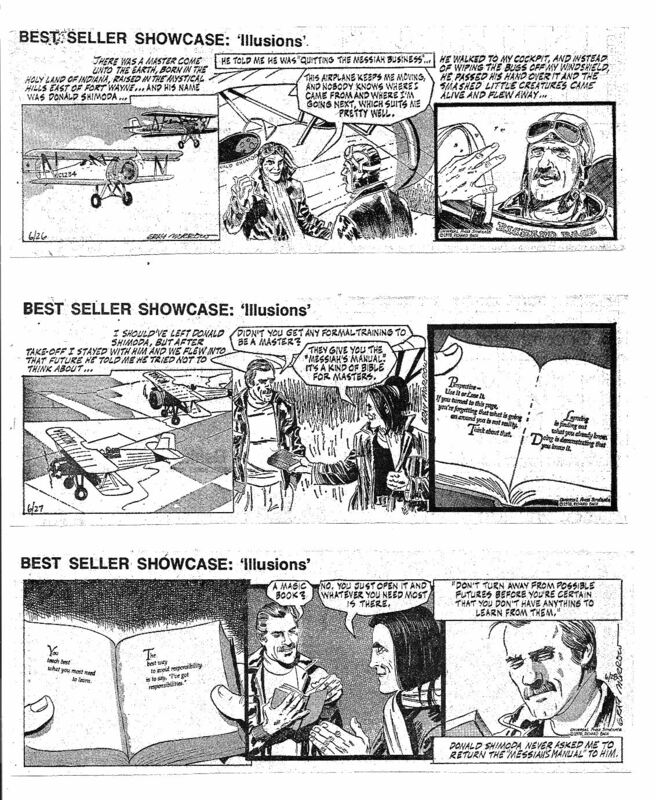 The above, for example. 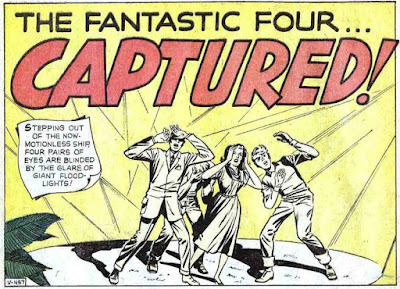 The very first FF splash from 1961. 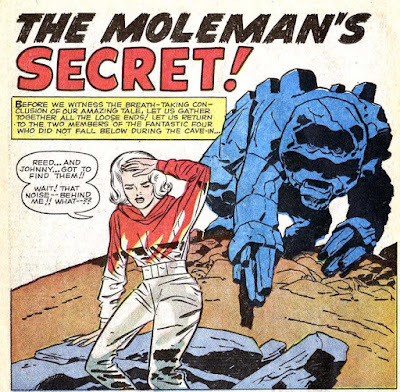 A Kirby crowd scene typical at the time of so many Kirby crowds pointing at monsters in the "Atlas" comics. 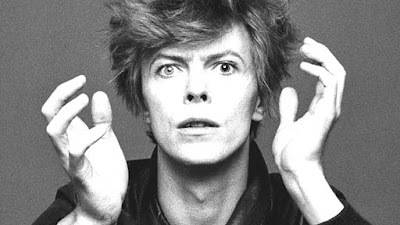 But here, just words. 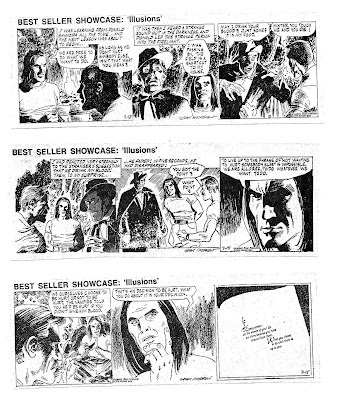 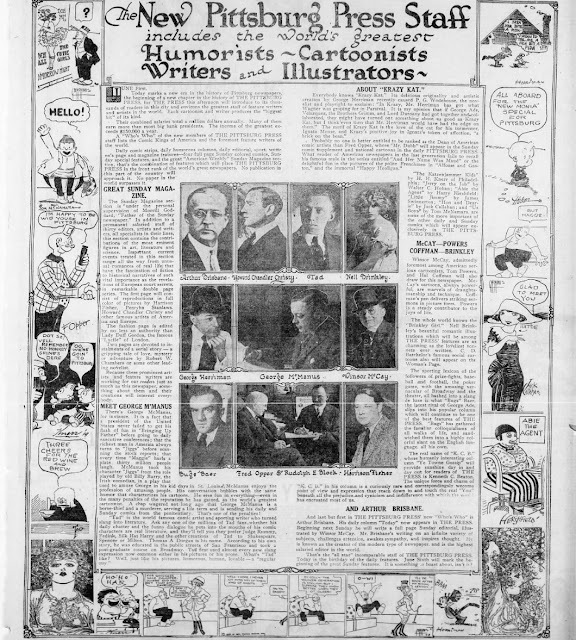 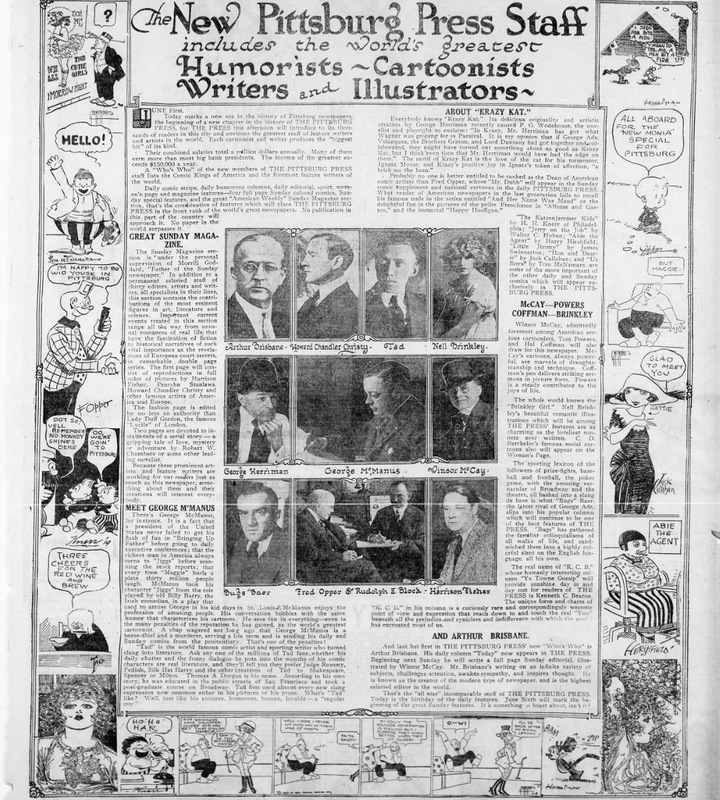 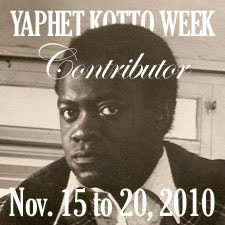 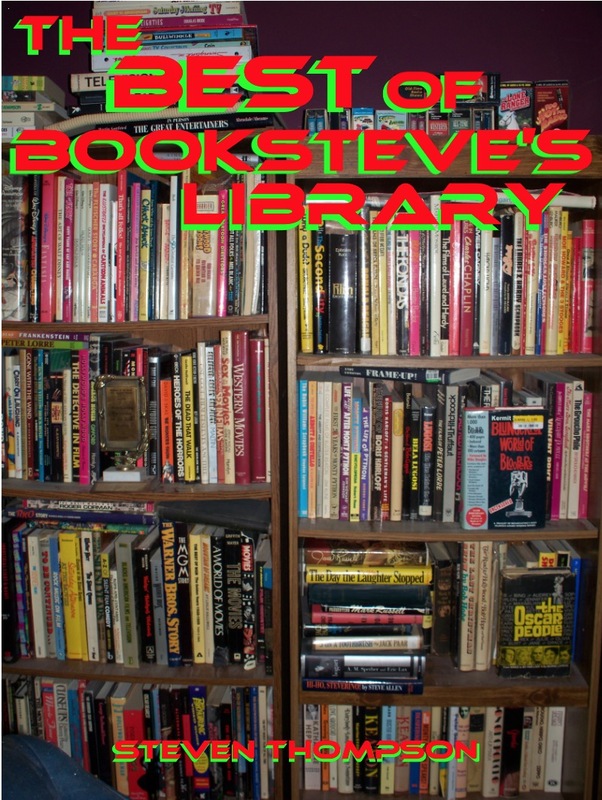 It intrigues properly, inviting the reader to come meet the four folks pictured above. 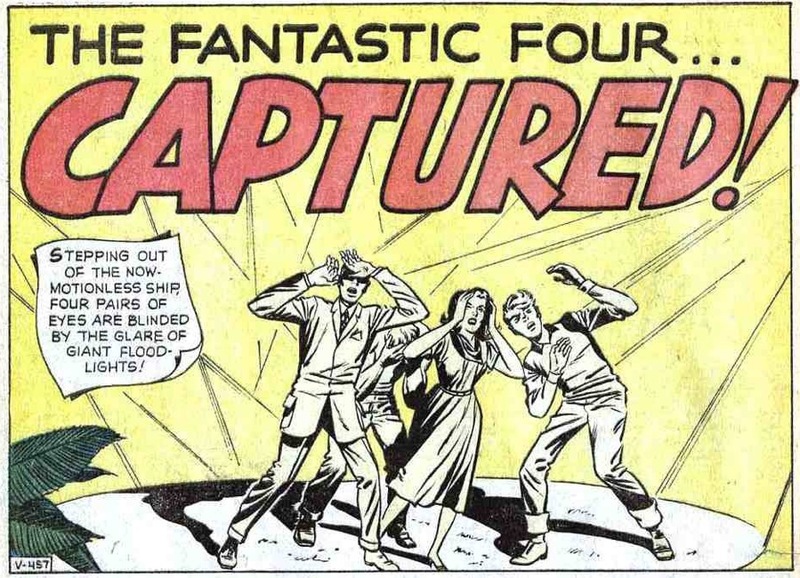 With both Reed and Ben being WWII veterans, I'd peg them here to be in their mid-40s and they look it. 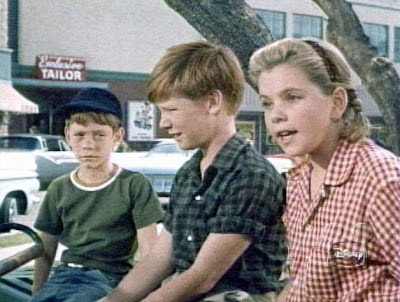 Sue seems mature enough to be in her 30s and Johnny perhaps 16. Below--Which came first? 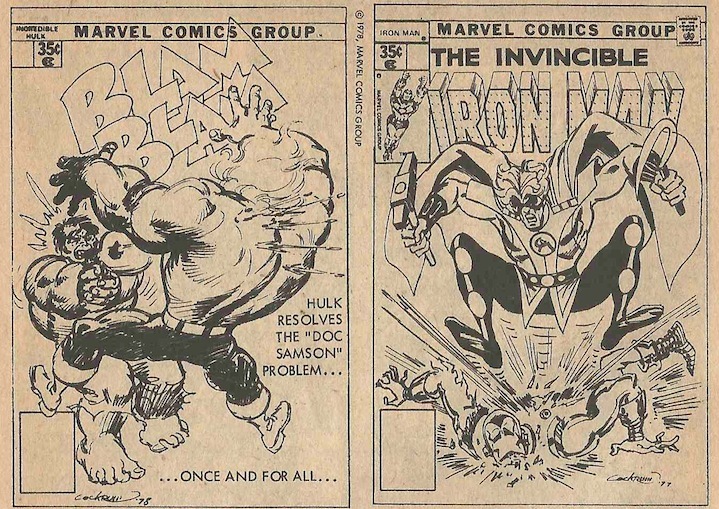 The splash or the now oh-so-iconic cover? 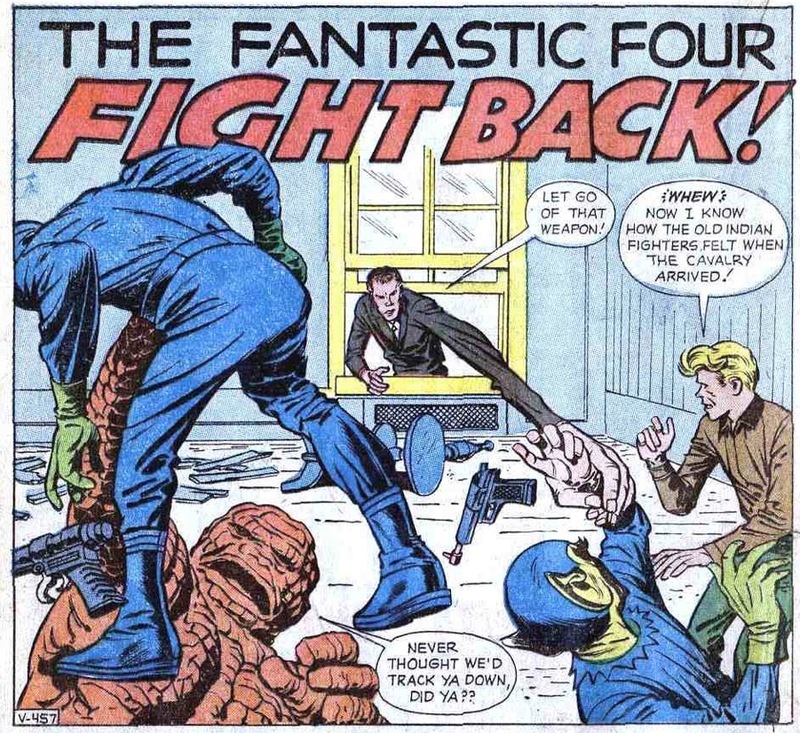 The giant monster again was business as usual for jack at that time but his early, wispy Human Torch was new. 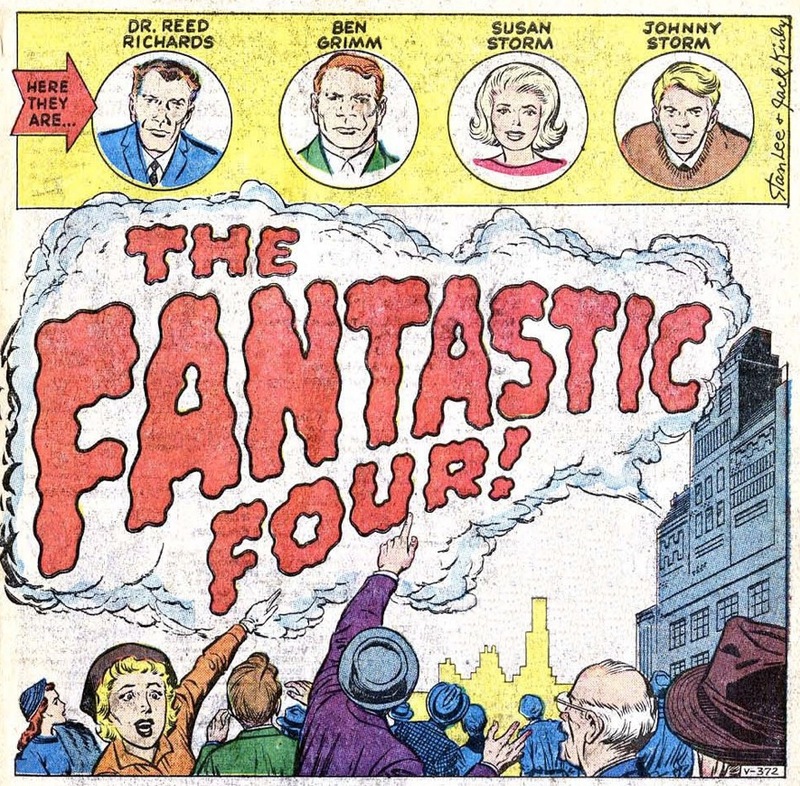 Sue seems to be Fay Wray to the monster's Kong and Reed and Ben are peripheral. 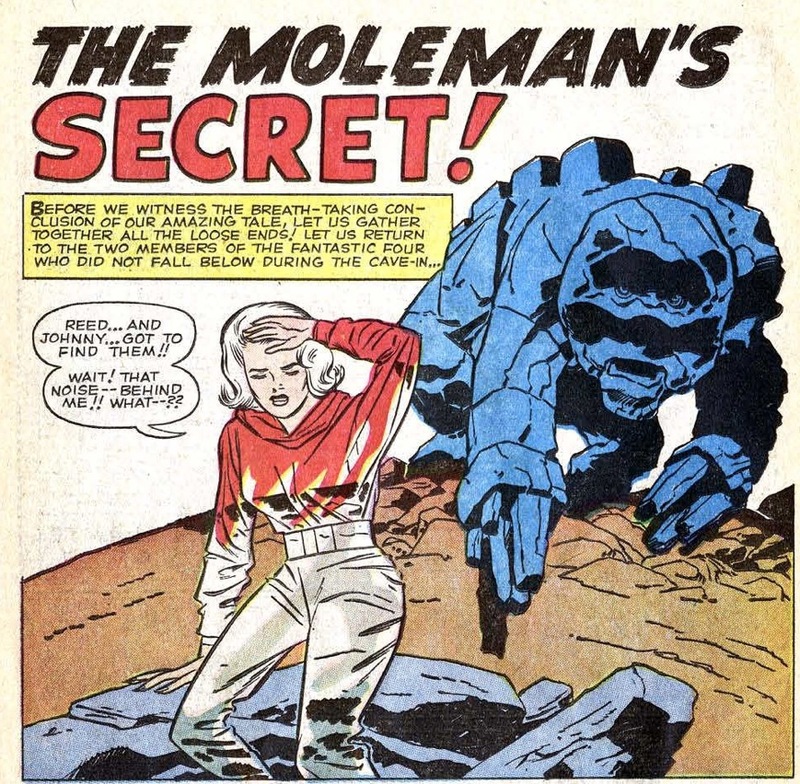 The final splash in issue one captures Sue Storm halfway between visible and invisible, with yet another giant monster in the back and the first splash panel appearance of Stan Lee's dialogue. 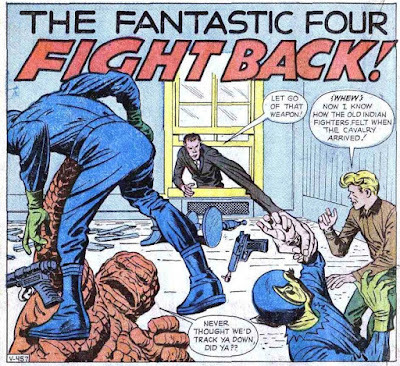 Overall, it's a good issue but reading it today it all seems so alien to what the FF would become. 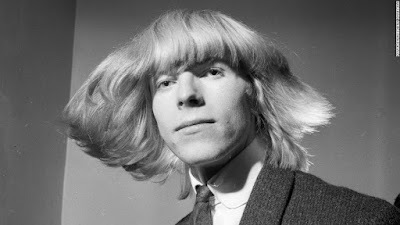 Changes. 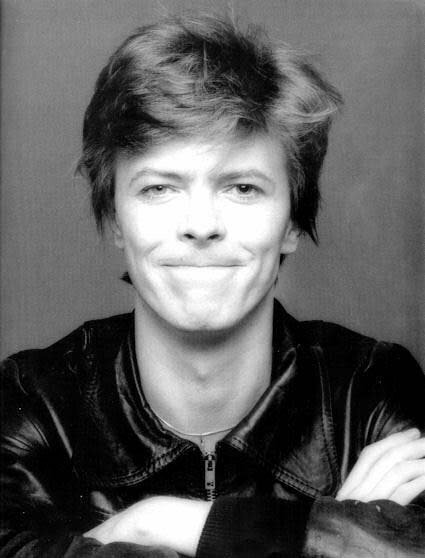 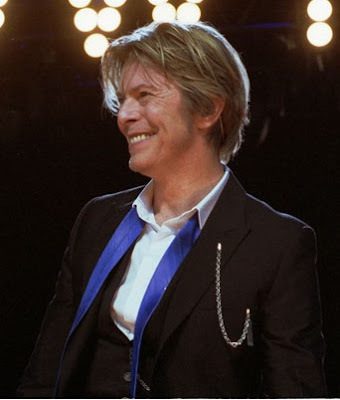 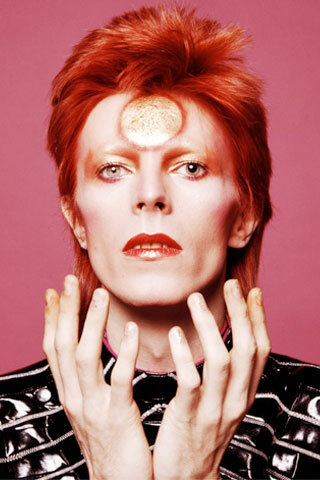 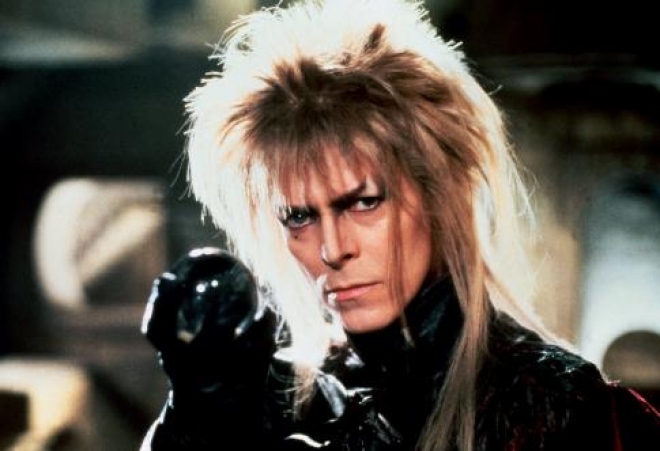 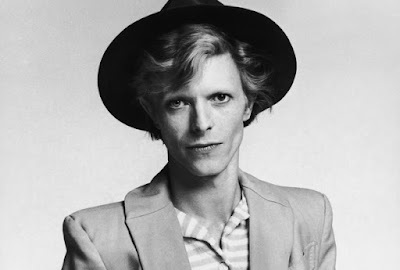 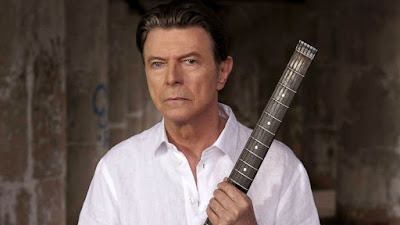 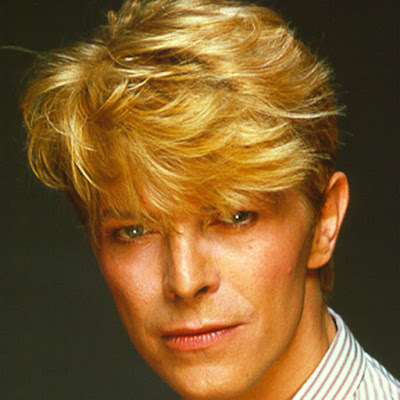 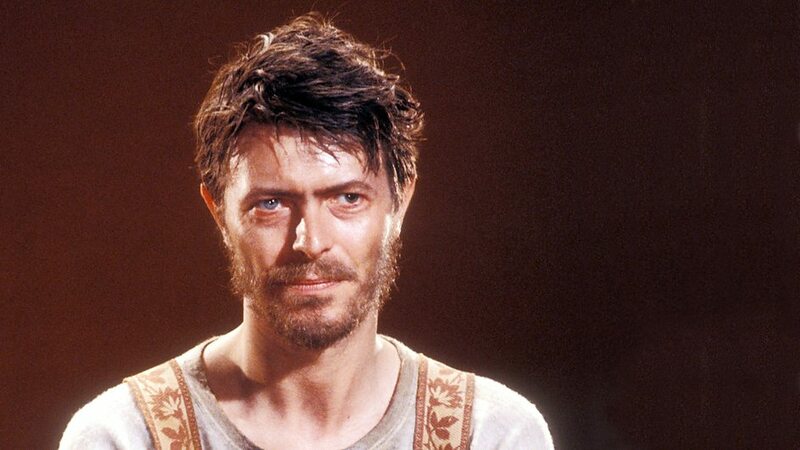 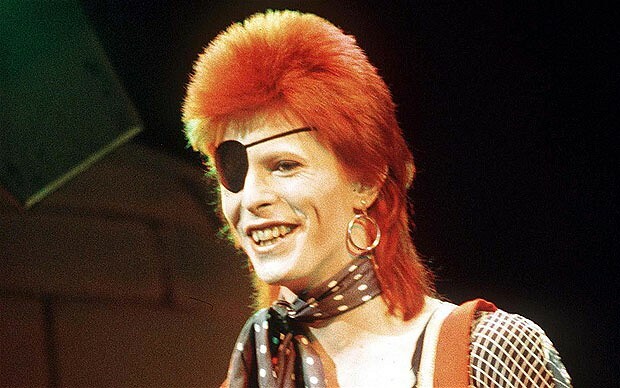 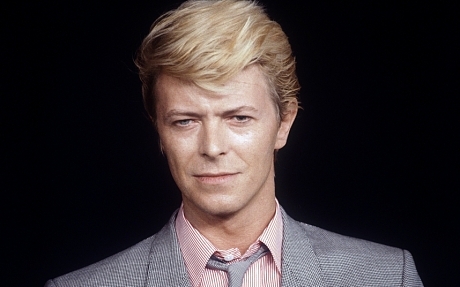 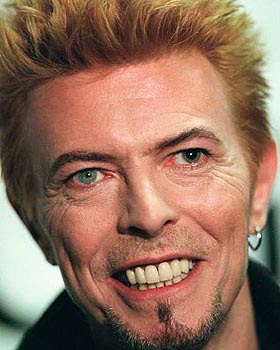 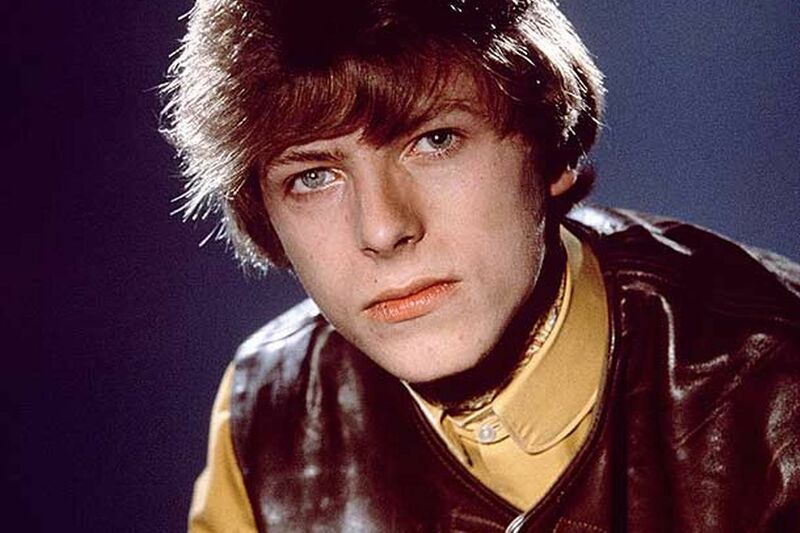 Bowie was all about them. 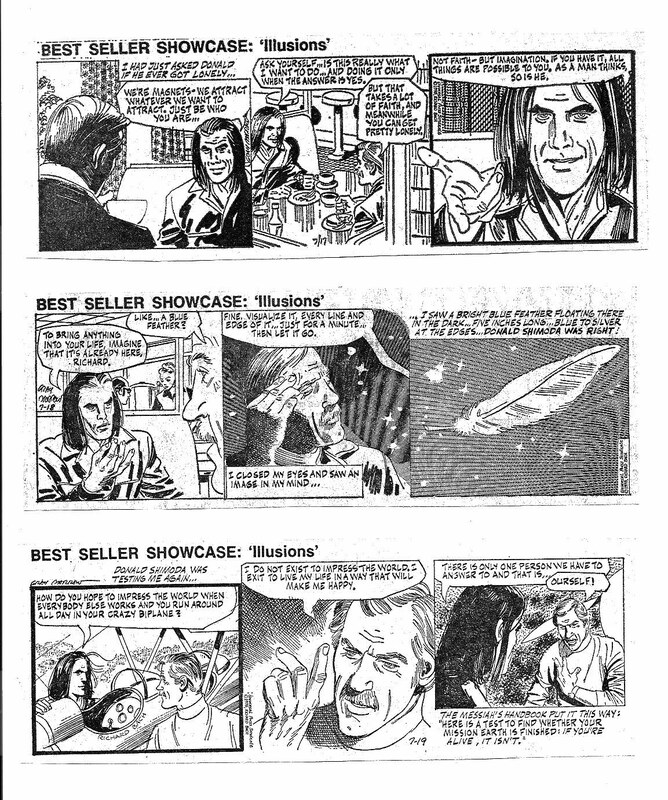 From a couple old issues of THE COMIC READER that I found. 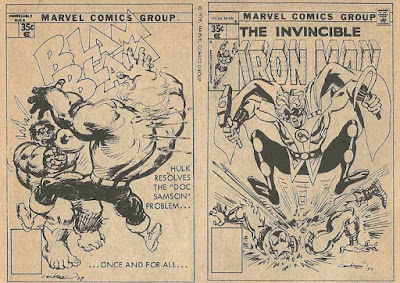 Above are two examples f the late, great Dave Cockrum goofing around at Marvel. 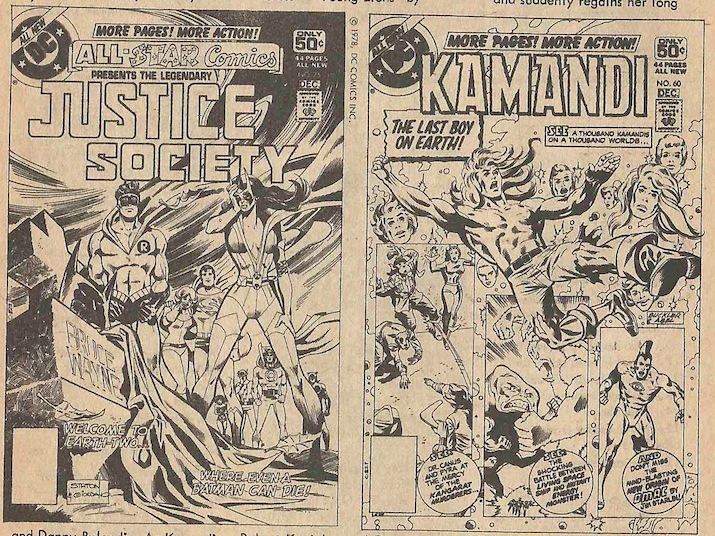 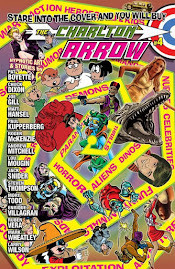 Below are the covers to issues of ALL-STAR COMICS and KAMANDI that never appeared due to the impact of the sudden DC Implosion.